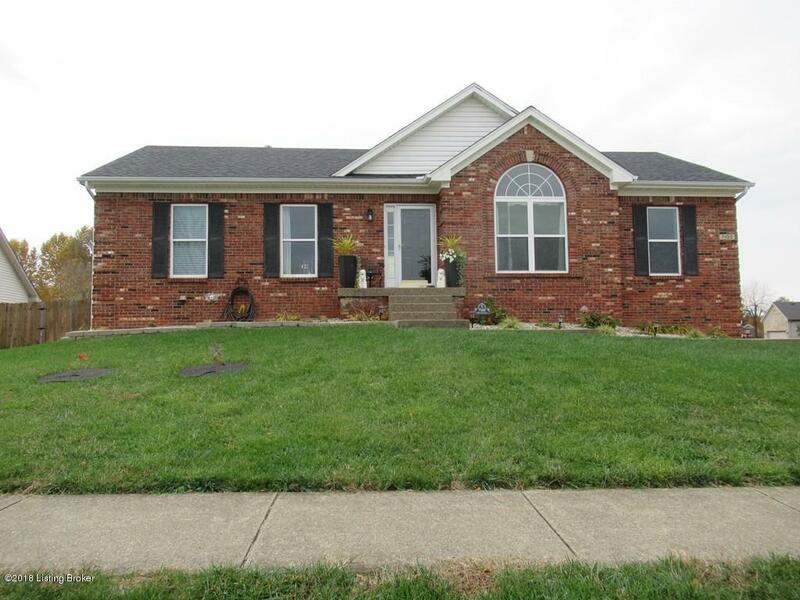 3 bedroom 2 bath brick Ranch in Oldham County, but with the convenience of being close to shopping, dining and medical at The Paddock, Brownsboro Crossing and Norton Commons. Great room with an abundance of natural lighting, gas fireplace, and tray ceiling. Dining Room with crown molding and chair rail. Eat In Kitchen with newer appliances. New backdoor with screen door leads to an expanded deck ideal for entertaining, New privacy fence and landscaping. Master bedroom with double closets attached Master bath with double vanity, New lighting, walk in shower and tub. Two additional bedrooms. Hall bath with New flooring and lighting. The partially finished lower level could be used as another family room. Laundry room with closet. Large corner lot. New paint through out.